Ease the transition of renting to buying a home. Read our guide to find out more about the Rent to Buy scheme and if it's right for you. Rent to Buy is a government scheme designed to ease the transition from renting to buying a home by providing subsidised rent. You may also hear it referred to as Rent to Save, or Intermediate Rent. With Rent to Buy, you rent a newly built home at approximately 20% below the market rate for up to five years (exact period of time varies by property). During that time period, you have the option to buy the property or to buy part of the property under a Shared Ownership scheme. When you get to the end of the time period, you either have to buy part of the property or move out. The expectation (although not obligation) is that this shorthold period of paying less rent gives you the chance to save for a cash deposit so you can apply to buy a share of the home later. After the shorthold has lapsed, you can purchase the property on shared ownership terms, or move. Am I eligible for rent to buy? But, to make it more complicated, there are further eligibility criteria, which differ depending on the housing association the property is offered through. Priority is normally given to certain groups such as existing housing association tenants and council tenants, people that fit with local priorities, as well as first time buyers. Check whether you qualify with your local Help to Buy agent. If you live in London, you will need to contact the Mayor of London’s first steps to home ownership website Homes for Londoners. If you are eligible for Rent to Buy, it really then depends on the property, the housing association’s offer and whether you will take advantage of the reduced rent to save up for a deposit. The offer is so varied from one housing association to another, you really need to read the small print of what is being offered before weighing up if it will be beneficial for you. One of the advantages of Rent to Buy is that it may give you access to properties that you otherwise wouldn’t be able to afford. You are also dealing with a social landlord, which may offer you an extra feeling of security. If you plan to save during this time, take a look at our guide to help you decide between a Help to Buy ISA and a Lifetime ISA. A disadvantage is that if house prices rise during the period you are renting, they might rise beyond your reach. A longer rental period puts you at greater risk of this. If you are looking at signing up and eventually buying the property, check with an independent mortgage adviser first and price up how much this would cost you in monthly repayments. You should ask whether lenders are happy to lend against properties within the Rent to Buy schemes. Don’t forget there are the costs of buying a home to factor in too. First, you must register with your local Help to Buy agent. They will assess your application and tell you if you are eligible and add you to their database. This is worth doing as they may contact you directly if a suitable property becomes available. Shared ownership allows you to buy a portion of a new build home and rent the rest, as long as you meet some very specific eligibility criteria. Sign up to our newsletter to get the latest advice and support for buying a home. Hi, this wouldn’t be covered by the Rent to Buy scheme. Any arrangements you made with them would be done privately. we would like to sell our property to our tenants. It is a freehold property and we are wondering if there is a way for us as private landlords to help them. Hi Gareth, thanks for your question. The Rent to Buy scheme is operated by housing associations and applies to new builds, so no, I’m afraid you couldn’t do as you suggest through this scheme. Hello! Have a look at becoming a member, you will have access to our friendly, professional and independent Home Helpline team can deal with a wide range of home ownership queries and problems, helping you through a difficult situation or giving you a second opinion on next steps. Hi. I currently live with my mum and siblings however I am looking at moving out. Please can I have a call in regards to the rent to buy scheme? Hi Louise, thanks for getting in touch. You’d need to make enquiries about pets for the properties you’re interested in. There may be differences between them, for example you’d typically expect more stringent rules on pets in flats as opposed to houses. In my experience most places have a clause in the lease that says permission must be sought for pets. Hello, me and my partner are looking into the rent to buy scheme, whats the agreement with pets? Can any rent to buy property allow pets as we have a small dog? Hi there, I’ve found a local property that is rent to buy – however the agents advert stipulates that a deposit of 5-10% is required at the outset. I thought the whole point of rent to buy was to allow you to save for a house deposit? Hi i am interested in the rent to buy, im living in a private rented property at the moment im pay £390 rent each month as i have for the past 4 years, can you help me find a rent to buy in my area please. Hi Natalie, the first thing I’d suggest is to take a look at the terms of your lease. You probably have to ask the Housing Association’s permission for your boyfriend to move in. I doubt his situation of having sold a property would make a difference, but it’s best to check your lease first and then check with the Housing Association as each one will likely have different criteria. I’m currently living in a property with this rental status, I couldn’t afford to buy a house and need to be in the city where the flat is based. However, my boyfriend is considering moving in and we want to put him on the tenancy but he is currently selling his house. Will this make us ineligible for the scheme? What are our options here? Hello Abbie, please contact the Help to Buy Agent in the area you are looking to buy as each Agent has their own criteria. The link to find your Agent is in our article. Me and my partner both live in the UK. He is in full time work and I am full time university student with a part time job. Can we qualify for a rent to buy scheme? Hi Rebecca, you’ve done the right thing by registering with the local agent. We don’t have lists of the available properties here. Hiya my name is Rebecca I’m trying to find properties in my area that offer the government rent to buy scheme I registered with South West help to buy a few months ago but still have not found any properties in the Paignton area, I was told it gets updated everyday with new properties but it hasn’t changed at all and I’ve checked it most days could you please let me know of any 4 bedroom properties available, our current tenancy ends on October 22nd so ideally we would like to move by then. Hi, I’m interested on rent to buy, I would like to know how much its minimum income required, my rent at the moment is 1500, which i believe would be very well invested on a rent to buy. Hi Melissa, thanks for getting in touch. You’ll see from our article that the first step is to register with a Help to Buy Agent. Their details can be found here. I am interested in the rent to buy, how do you go about starting up and finding a property? I am interested in rent to buy house 3 bedroom in colchester area.. They can talk you through the options for self employed mortgages as well as Help to Buy mortgages and whether shared ownership (rent to buy) could work for you too. 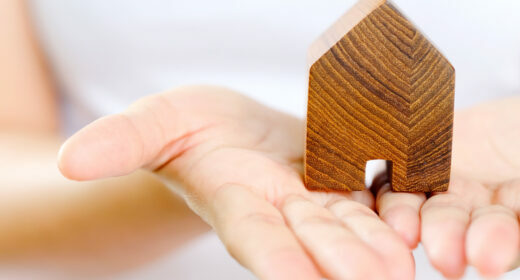 We have a guide on shared ownership https://hoa.org.uk/advice/guides-for-homeowners/i-am-buying/shared-ownership-what-to-watch-out-for/ and the help to buy equity loan scheme https://hoa.org.uk/advice/guides-for-homeowners/i-am-buying/help-to-buy/ Both of which are good options if you need help to get on the property ladder. Many thanks in advance, and I look forward to hearing from you very soon. Yes you can. Type “Help to Buy Wales” into your search engine. Can you get the help to buy scheme in Wales please? Hi Rebecca, I’ve emailed you with some info. But the best place to start is speaking to a mortgage broker who can talk you through the government schemes and check affordability for you. Click here to get started. Also would it assist if I had savings ? Is the rent to Buy properties any areas. Send us an email at hello@hoa.org.uk with details of what you nee help with and we’ll hopefully point you in the right direction. Do you know if this Rent to buy scheme is available in Stoke-on-Trent? My housing association advised me that this scheme rent to buy has now ended, does this mean it has ended for good? The government ended it? There are also criteria you would have to meet which are set by the housing association the property is offered through. Your first step is to check if you qualify and register with your local Help to Buy agent and they can help you with this. Do consider becoming a member to access the services listed and we can advise you further with the buying process. Could you please email me so we can discuss a buy to let scheme for myself. I would be a first time buyer. I want to buy a house because I am going to be 53 years old in September. I am really tired of moving home to home after every few years. There are certain eligibility criteria that you need to meet to qualify so it is good for you to register with your local Help to Buy agent. They will assess your application and tell you if you are eligible and add you to their database. This is worth doing as they may contact you directly if a suitable property becomes available. Not sure if I have contacted you before. I am interested in rent to buy scheme. What exactly are the requirements? Is there a age limit on this scheme? Iam interested in a 2 or 3 bedroom house. I am an NHS worker, nurse . I have a small deposit .I have been on a waiting list for a council house for 15 years and don’t want to wait any longer. Please advise me on where to start this process. hi we would like to rent to buy a two bedroom in south london. i am 56 years old will we be eligible for this scheme? Is rent to buy available in Scotland? Hi I’m currently in a rent to buy property I would like to buy, but my housing association is saying they don’t have a process in place, my five years is almost up, they are not providing me with any details I have good credit, can they just pull out of this arrangement by not providing me with any costs or procedures? In order to find a property through this scheme you must first register with your local Help to Buy agent. They will assess your application and tell you if you are eligible and add you to their database. This is worth doing as they may contact you directly if a suitable property becomes available. Here you can: Find your local Help to Buy agent. Do consider becoming a member and we can assist through the various stages of buying, and you would get a 10% discount on solicitor fees, here you can: Become a member of the HomeOwners Alliance for £45. Please i need a minimum of 3 bedroom on rent to buy scheme in Birmingham or Northampton to be able to save towards mortgage. hi im looking to rent a three or four bedroom house and then to buy in bolton i have an income of 400 pound a week with having very bad credit scoring it makes it difficult to obtain a mortgage would i be eligible to rent to buy. me and my partner are looking into the rent to buy scheme so we can save a deposit to buy a property, we are first time buyers, how do i go about signing up ? we live in yate and not sure who our help to buy agent is in yate? or how we go about applying to the rent to buy scheme? I’m looking for rent to buy in Lewisham or south east london thanks a lots. Thanks for the information! Such affordable home ownership schemes help people a lot to make their first step when purchasing their own property. I know that there is Help to Buy scheme that helps first-time buyers to purchase their firs home and they need to contribute at least 5% of the property price as a deposit. It’s really great. Also there are shared ownership schemes that can be provided through housing associations. This way people buy a share of their home that is between 25% and 75% of the home’s value and then pay rent on the remaining share. People should read more information about such schemes as they help a lot. We took up a rent to home buy property from Sovereign on what we were told was a 3 year contract to purchase a share after that date. When we came to enquire about to purchase our share we were told we couldn’t because house prices had dropped and we have to now keep an eye on house property prices in the area. They have said the house is not worth what they want and won’t sell until it reaches the price. How can I rent to buy while my credit status is being repaired.